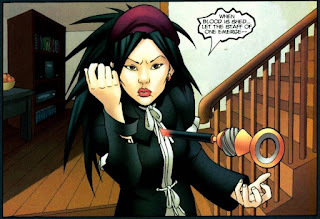 Marvel’s Runaways is about to make its big debut as a television series on Hulu, and so you may be wondering if the comic book series it is based on is worth your time. The answer is a resounding and emphatic yes. 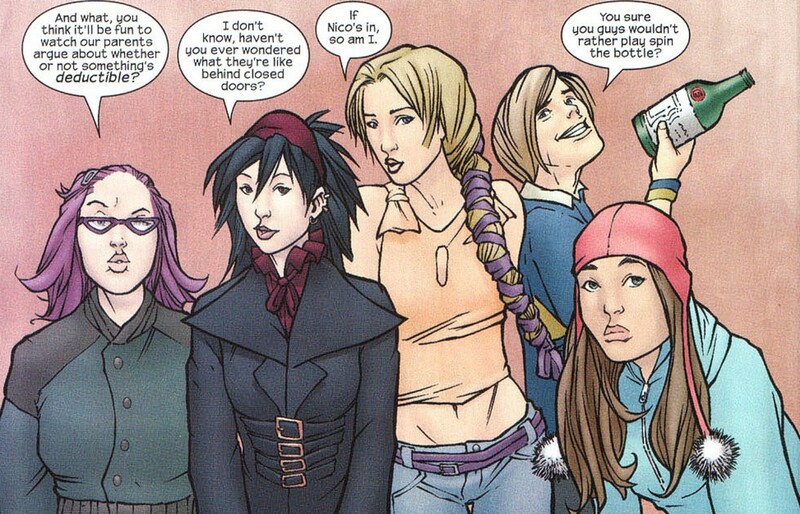 Runaways launched in 2003, created by writer Brian K. Vaughan and artist Adrian Alphona. It was a low-selling but critically beloved cult hit, one of the best new concepts Marvel had developed in a while. It was originally cancelled after issue eighteen, but was revived thanks to high sales of the collected editions. Vaughan continued to write the series through three volumes of the series, before leaving to work in television. 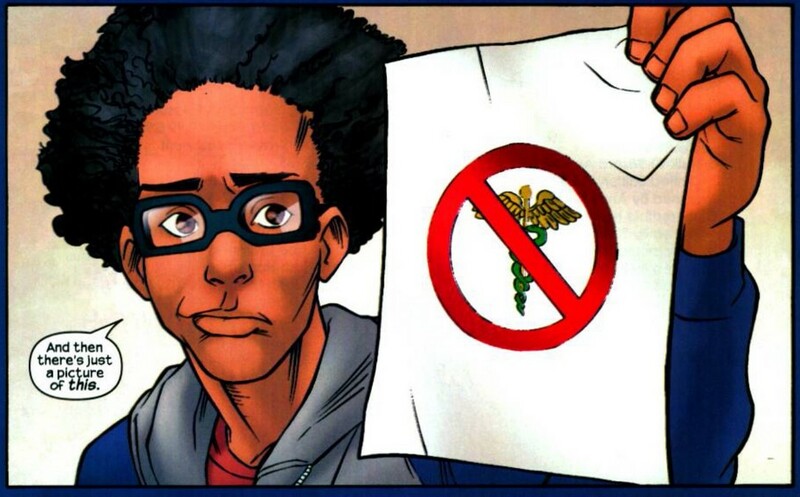 (He would eventually return to comics with the even more beloved Image series Saga.) 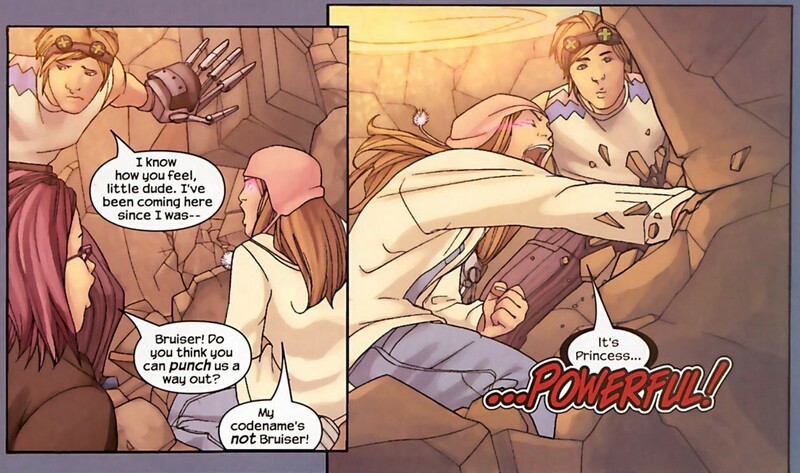 The comic was taken over briefly by none other than Joss Whedon, but it couldn’t maintain the same magic. The Runaways series revolves around a group of Los Angeles teenagers that all discover they’re the children of supervillains, running a dangerous secret organization called The Pride. The kids had grown up hanging out during their parent’s annual “charity” meetings. However, a little snooping during the most recent meeting finds them witnessing their parents sacrificing the life of an unknown teenage girl. When the police won’t take the report of the murder seriously, they search their houses for evidence. 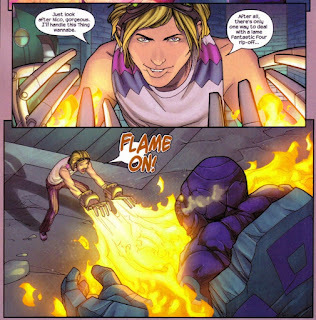 What they discover instead are special new abilities for Gert and Karolina. Gertrude discovers that her parents are time-travelers, and that they were going to bequeath her with a pet Velociraptor on her 18th birthday. 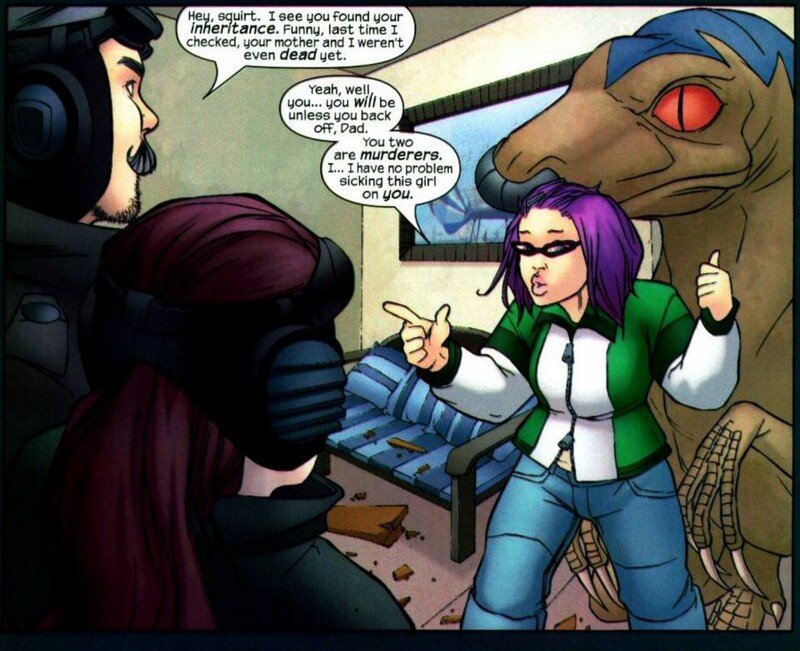 Gert and the raptor, named Old Lace, share a psychic rapport and it obeys all her commands. 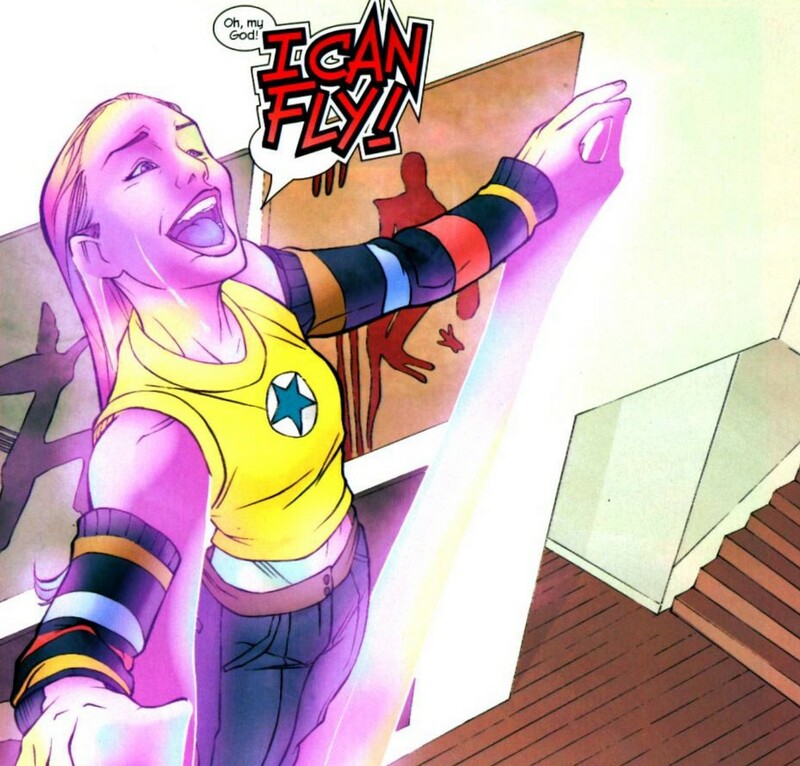 Karolina finds out that she’s the daughter of aliens, and that when she removes her power inhibiting bracelet, she glows with bioluminescent energy and can fly. Unfortunately, The Pride have influence everywhere in the city, and the police notify them of their children’s attempts to report their crimes. Their parents find them and attempt to subdue them. 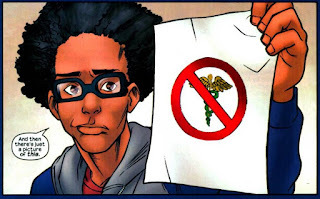 In the ensuing struggle, Chase and Nico acquire powerful new weapons by taking them away from their parents. Chase was your typical teenage boy athlete, until he steals powerful hi-tech gauntlets from his supervillain inventor parents. Now on the run from their evil parents, they decide to rescue Molly before she falls into their evil clutches. During the subsequent confrontation, Molly experiences some traumatic new changes in her body. Molly is the youngest of the group, and arguably the most powerful, thanks to the super strength granted her by her mutant powers. Unfortunately, every time she uses her strength, she almost immediately gets really fatigued and needs to sleep. Alex is the de facto leader of the group and a child prodigy, with a high aptitude for logic and strategy. On the run from their parents and the police, the kids are officially Runaways. They make camp in Chase’s secret hiding spot, a mansion that was swallowed up by an earthquake in the 1920s. The group decides to try and help those in need, in an attempt to atone for the crimes of their evil parents. 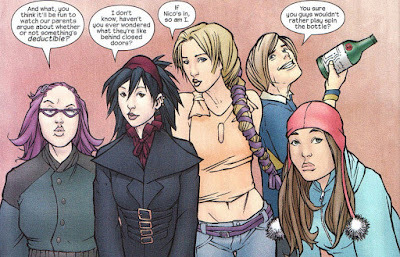 The Runaways have to balance surviving on their own with helping those in need, and their own interpersonal relationship dynamics. Alex has a crush on Nico, Chase is attracted to Karolina, but Karolina (surprisingly) makes a move on Nico. They briefly take on a new member, a teenage boy that turns out to be a vampire that tries to kill them. 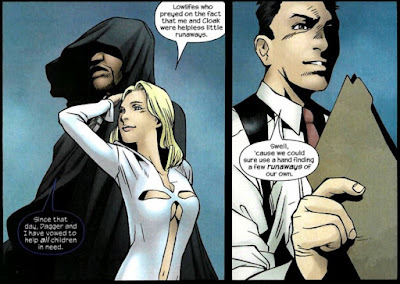 The LAPD enlist the help of former runaway superheroes Cloak and Dagger to find the kids for them, but after the traditional superhero misunderstanding, they become friends. The rest of the series is highly entertaining fun on the level of a teenage soap opera, only with super powers. Not only do they discover that The Pride plan on destroying the entire world, the team is rocked by a shocking betrayal. To make matters worse, Vaughan later ends his tenure on the series with one of the most heart-breaking deaths in comic book history. If those two things don’t get you reading, then nothing will. 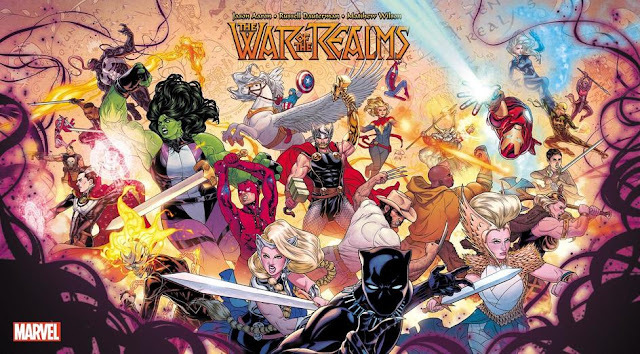 So if you wind up watching the TV show and loving it, you’ll be happy to know that there’s a whole stack of comic book stories waiting for you to read while you wait for the inevitable second season. There are worse ways to spend your time.